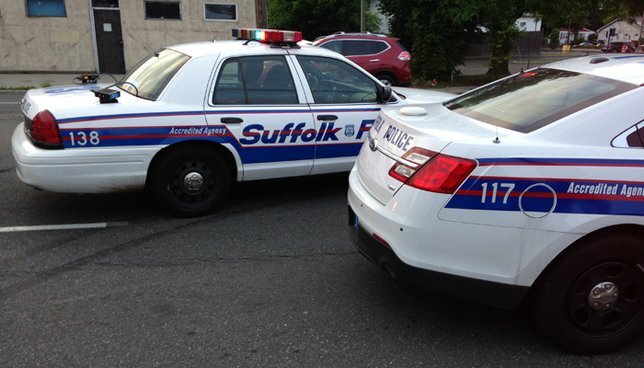 April 16, 2019 - Suffolk County Police arrested a man whose license had been suspended multiple times, after he fled two traffic stops and crashed into multiple cars on Sills Road in Patchogue. Taieek Smith was driving a 2015 Mercedes Benz northbound on Lincoln Avenue in Holbrook when a Fifth Precinct patrol officer attempted to initiate a traffic stop at 5:27 p.m. Smith initially stopped his vehicle but fled when the officer approached. The vehicle was spotted approximately seven minutes later heading northbound on Sills Road by a different Fifth Precinct officer who initiated another traffic stop. After initially stopping, Smith pulled away at a high rate of speed. He crashed into four vehicles approximately a half mile later at approximately 5:35 p.m. Four people in the cars Smith crashed into were transported to Long Island Community Hospital in East Patchogue with minor injuries. Smith, 23, of Wyandanch, whose license had been suspended 26 times, was charged with Aggravated Unlicensed Operation of a Motor Vehicle, Reckless Driving, Reckless Endangerment, two counts of Fleeing a Police Officer, Leaving the Scene of a Motor Vehicle Accident, Criminal Possession a Controlled Substance 7th Degree and multiple Vehicle and Traffic violations. Smith was held overnight at the Fifth Precinct and arraigned at First District Court in Central Islip. Smith’s vehicle was impounded. Subject: LongIsland.com - Your Name sent you Article details of "Wyandanch Man Arrested after Fleeing Police and Crashing into Multiple Cars, SCPD Reports"